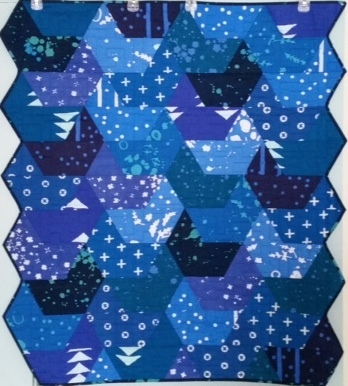 JAYBIRD QUILT (JBQ) NOVA CHRISTMAS KIT includes the JBQ Nova Table Topper pattern and 2 1/4 yds of fabric to make this table topper. 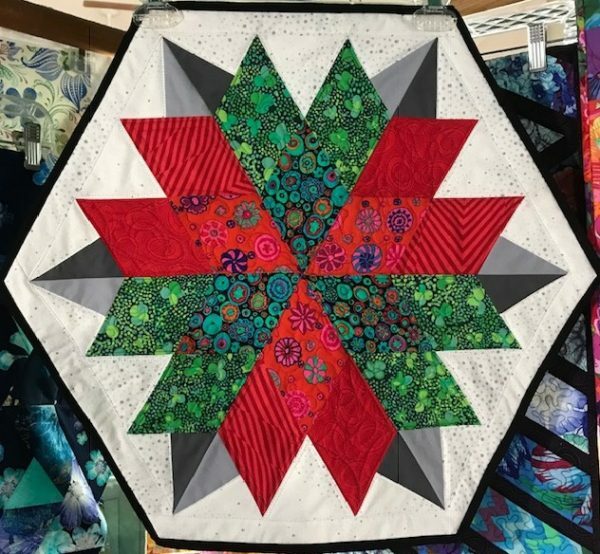 This table topper goes together really quickly, in time for a holiday gift or holiday decorating. Find the pattern on the Books and Pattern page.